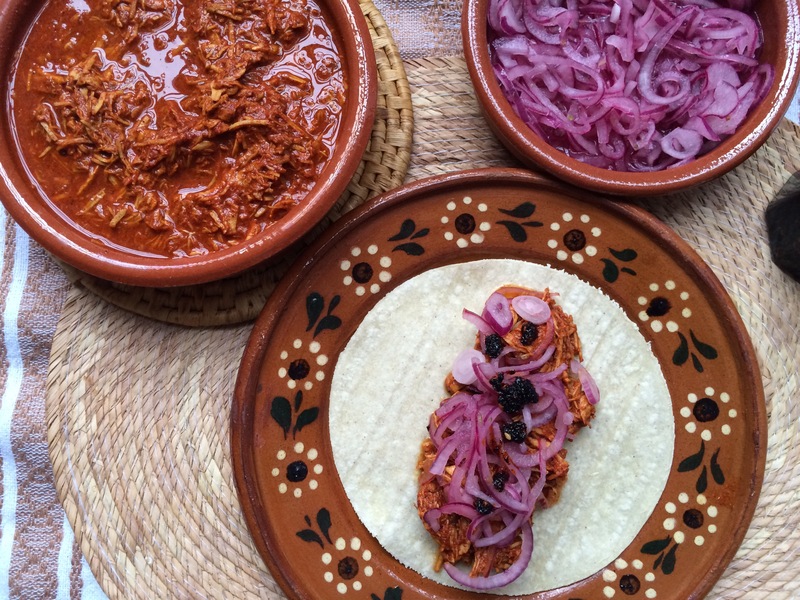 I think just a few recipes in Mexico could describe the richness in traditions, flavours and ingenious of our Mexican gastronomy and Chiles en Nogada is one of those dishes; full of history, tradition, flavour and beauty making them one of the most popular Mexican dishes and everybody’s favourite. The story of the creation of Chiles en Nogada goes back to August 1821 when the sister of Santa Monica Convent in Puebla wanted to welcome Agustin de Iturbide with a very special meal after he just had signed the Declaration of Independence and he was passing by through Puebla. They collected some of the ingredients that were in season during the month of August and they came out with this recipe. The colours of the ingredients on it are related to the colours of the Mexican flag, the Poblano pepper is the green colour, the Nogada sauce is the white and the pomegranate seeds are the red, making it the most patriotic dish to celebrate Mexican independence. In the original recipe the poblano pepper is covered with a mixture id stiff peak egg and then fry in oil before putting the nogada sauce. Well, now after telling you some of the very interesting history of this wonderful recipe, let me tell you some facts of the traditional way to cook it. Historically and traditionally this recipe is always cooked with Poblano pepper, these ones are roasted, peeled, stuffed with a special filling and battered in eggs beated until stiff, fried and covered with the Nogada sauce, but my version is more simple and I have changed it slightly for busy people like me, I do know I shouldn’t be doing this as it is a very important recipe for all Mexicans but as a busy mum of two, sometimes one has to do what we have to do in order to fulfil our cravings, but one thing I want you to have in mind, I DO know how to make the traditional Chile en Nogada and when I do have plenty of time to be in my kitchen by myself without being interrupted by a three year old asking me to play with him every five minutes, I cook the real and traditional recipe, but today I’m afraid I wasn’t that lucky because my husband arrived very late from work, so this time I had to used tin Poblano peppers. Anyway, I do hope you enjoy this recipe as much as we did. 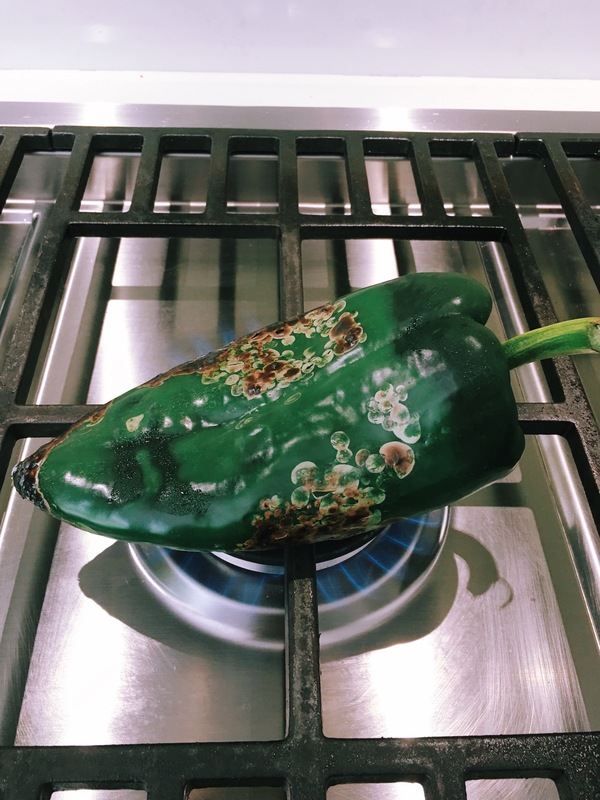 Roast the poblano peppers on the burners of the hob. Turn them around so all the skin gets blacken. Once the skin gets this colour, wrap the peppers in a kitchen towel and put them inside a plastic bag and leave to rest for 15 min, then take them out and peel the skin off. Make an incision from top to bottom of the pepper and take the seeds out, carefully, leaving the stem on, making sure to keep the pepper shape, then leave aside to cool down. Heat a casserole dish or a frying pan and add the oil then onions and garlic, cook for 3 min, mixing continuously, then add the meats and mix very well, cook for 10 min. Then add the tomato purée and cook for 3 min. Start adding the spices, cinnamon, oregano, thyme, salt and pepper, then add the pine nuts, raisins and chopped almonds, cook for 10 min, then add the pear and peach and parsley cook for 5 min. Once the meats are properly cooked just turn the heat off and set aside. Put all the ingredients for the Nogada sauce: goats cheese, single cream, cinnamon, salt, walnuts into a blender and blend until getting a smooth consistency. I find it easier to use the hand blender as I have more control over the mixture. Be careful not to over blend, the sauce has to be runny and thick so sticks onto the Poblanos. To serve the peppers. Filled them with the minced filling until the pepper is well stuffed but holds everything inside the skin. Cover the pepper with the Nogada sauce and scatter some pomegranate seeds and flat parsley. Enjoy! 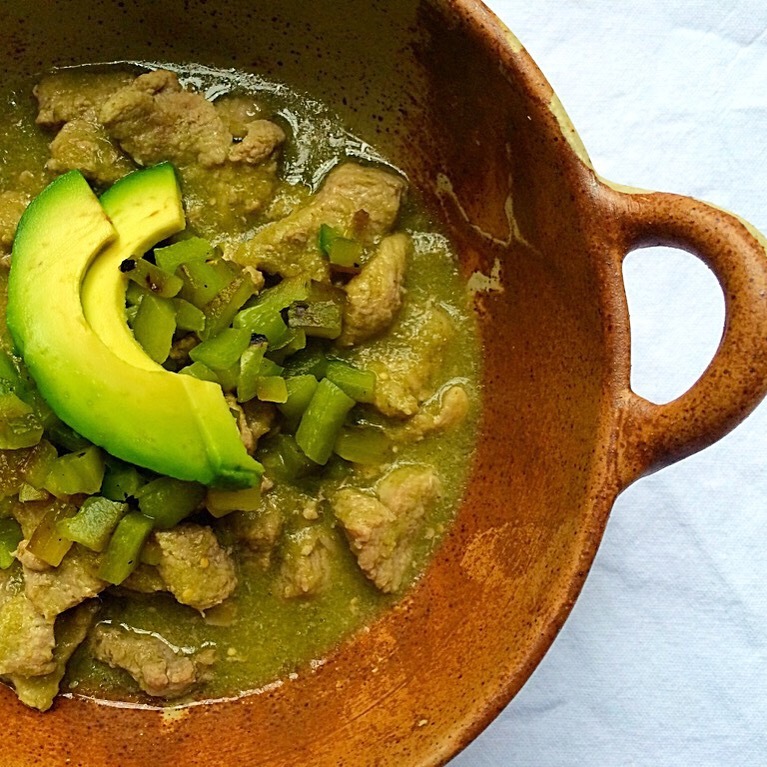 If you can’t find fresh Poblano peppers, you can get tin ones in some of the online shops.